Hello! Welcome to the Taylored Expressions April Sneak Peek Day Two! We are releasing 8 new stamp sets, 8 new dies and a new cutting plate... I know you are going to love it all! We will be having a Preview Party tonight at 6:00 PM PST. This will be your chance to see the sets and some great giveaways. The party is always fun and fast-paced! Be sure to join along HERE! 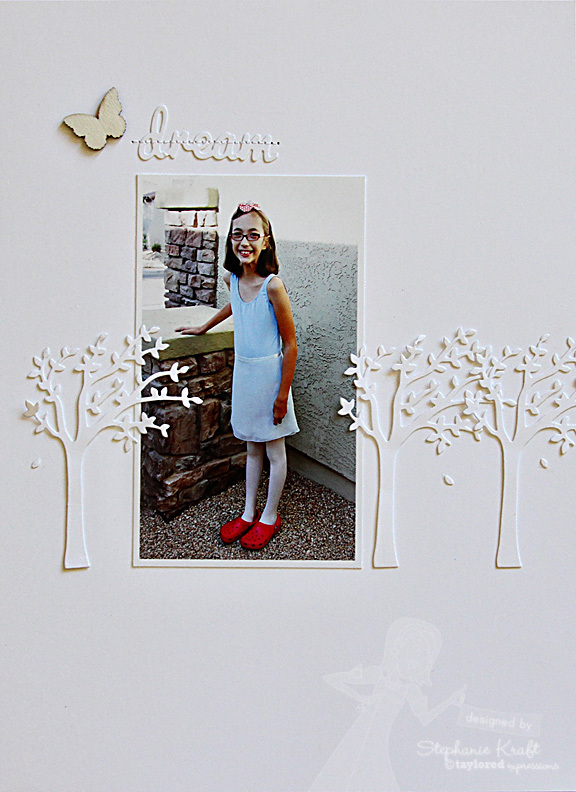 Dream Big (previously released) is a full-sized stamp set that is perfect for school and graduation themed projects. It will be 25% off OR FREE with any order of $100 or more. This special will be in effect this Thursday, 4/4, though Sunday, 4/7 or while supplies last. Today I have a card and a layout to show you. First up is my card which uses the newest Moka girl... Moka Skylar! 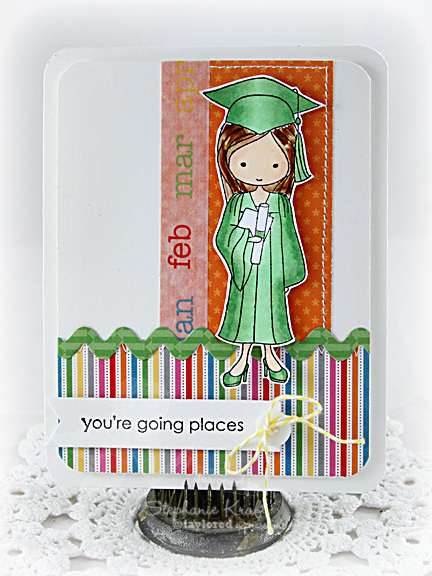 I paired the new graduate with papers from the Doodlebug Take Note collection. I stamped, colored and fussy cut her out, then I popped her up with foam tape. 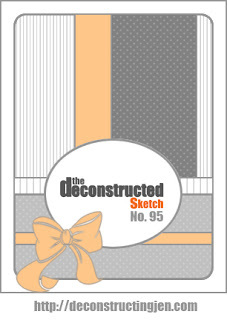 I used Jen's Deconstructed Sketch #95 for my layout. My second project is a super clean and simple layout featuring the new Windy Die Set. The set consists of the tree with falling leaves (which I used in triplicate) and the word "dream". I wanted to highlight this photo of my ballerina and decided to use white on white to make her outfit (and hot pink Crocs) stand out more. Accessories: Taylored Dies: Ric Rac Borders, Banner Stacklets 1 (Taylored Expressions); Corner Chomper (WRMK), Markers (Copic), Bumblebee twine, Take Note – Calendar of Color washi tape (Doodlebug); Button, Foam tape, Thread, Sewing machine. Accessories: Taylored Dies: Windy Tree Die (Taylored Expressions), Wood veener butterfly (Studio Calico), Thread, Sewing machine. Beautiful layout, love the added stitching through the word, it really brings attention to it! The trees are a wonderful element and love those bright shoes, CUTE pic!!! That little Skylar in her green cap & gown is so cute & colorful, and your white-on-white layout is swoon-worthy, Stephanie! L-O-V-E!!! Such a cute card Stephanie and I looooove the sweet photo of Sabrina on your layout! Such a simply striking page! LOVE your card Steph, but your page...oh my word! AMAZING! She is as cute as can be, and I LOVE all the white!!! I also LOVE how you stitched over the sentiment, SUPER cool!! Super fun layout on the graduation card and WOW...what a crazy, awesome scrapbook page! All that white just draws my attention to your beautiful daughter! Really LOVE the effect of the stitching over the sentiment too!